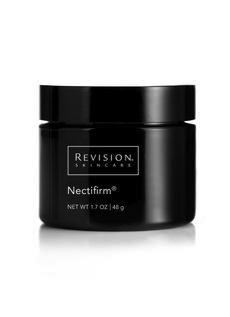 Most of us have suffered through the occasional pimple or breakout, many of which appear on our face. But, another region that sometimes doesn’t get as much attention is the back. Many men and women suffer from back acne find it uncomfortable to be in a bathing suit or show their back in public. Back acne isn’t just limited to your actual back, it can spread down your back onto your buttocks as well as wrap around to your chest area. This acne is similar to facial acne in both its symptoms and its treatments. Unfortunately, people who suffer from sever facial acne are also more prone to suffering from acne in other places on their body as well. Acne forms when pores or hair follicles become clogged with dead skin and oil. Therefor, it makes sense that acne can come from wherever there are sebaceous glands (the glands responsible for the production of sebum, or oil—and hair follicles). 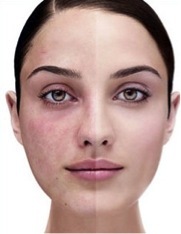 Blemishes can appear almost anywhere on the body except the palms of your hands and soles of your feel. Acne on the body poses another challenge because it can be harder to control than facial acne since the skin on your body is thicker and has larger pores that can become clogged. Plus, these areas are often clothed, which means your skin has constant contact with the oil it produces. You obviously can’t stop your skin from secreting oil and clogging your pores, but you can help prevent body acne by cleansing your skin properly. Invest in a coarse rag or loofa to exfoliate your skin in the shower, be sure to keep this clean and wash with antibacterial soap often. Moist, sweaty clothing like a fitted sports bra or jersey are a breeding ground for bacteria that can clog pores. Be sure to shower and swap out your clothing for something clean and lighter after you work out. Change your sheets more frequently. There are many body washes on the market not that will help treat body acne, however, it is best to visit a specialist and determine your course of action to properly tackle your acne. Like everything in life, it will take some research, diligence and possible lifestyle changes, but body acne can be managed. Many times spider veins can be seen as solely a cosmetic problem- posing no real threat to a person’s health and well-being. While the potential health threats of spider veins are slightly less than varicose veins, it’s important to understand what causes them and know that if left untreated, spider veins can cause some serious physical discomfort. First of all, spider veins are tiny blood vessels that appear beneath the skin in twisted patterns of red, blue or purple veins. In 25% of cases, spider veins are a secondary condition caused by vein disease or varicose veins. For this reason, it is important to consult a board certified phlebologist for a thorough diagnosis and look at your treatment options. Hormonal changes, especially in women, are the likely causes of spider veins., especially during pregnancy and menopause. 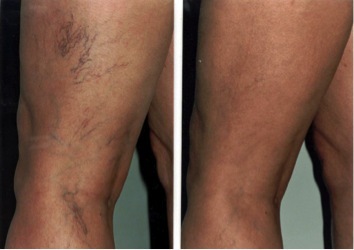 As the veins become weaker, blood may begin to pool and cause the formation of unsightly spider veins. There are some lifestyle habits that could lead to spider veins as well. Inactivity is a leading lifestyle cause for spider veins, because the veins in the legs are not supported by muscle and structure and freer blood circulation takes place. Not drinking enough water, smoking and drinking alcohol are also major contributing factors. If you suffer from spider veins, it is important to discuss your treatment options and help prevent more from appearing.